This is the Associations 6 bell method ringing competition. The rules are available here. Elizabeth Cotton has looked through the old Annual Reports to find that the Derby and Ilkeston District first proposed a striking contest in 1960. The proposal was accepted and a small committee elected to organise the event. The competition is being planned for May at some suitable six bell tower, in the district. Further details and rules may be obtained from Messrs. D Marshall, D Carlise and G Halls. It is hoped that as many towers as possible will compete. Thus, the first striking contest was held at Horsley on May 13th 1961. Eleven teams entered, the event was extremely successful, the weather perfect, Gwen Harrison provided a splendid tea and about 75 ringers turned up. The judges Roger Baldwin & David Friend placed Alvaston first, ringing call changes, Sawley second, also ringing call changes and Derby Cathedral third, ringing London Surprise. The Horsley Churchwarden, Mr Else, promised to provide a cup. 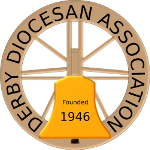 In 1962 15 teams entered, winners were Derby Cathedral, and this year a trophy was presented. 1963 saw Sawley winning, with Alvaston & Duffield joint second, it did say Derby Cathedral rang Cambridge well but fired out near the end! 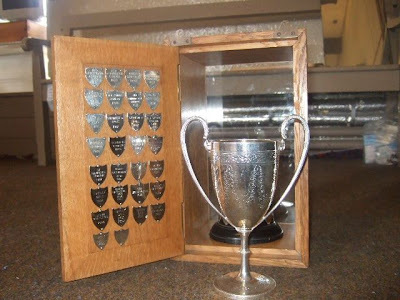 In 1964 the Horsley Cup was open for the first time to the whole Association. District heats were held at Clay Cross, Stanton-by-Dale and Breadsall, the winners being invited to compete at Horsley. The winners were Dronfield, followed by Old Whittington, with Sandiacre and Derby Cathedral tied in third place. 1965 saw the Peak District entering for the first time, heats were held and then the final at Horsley with Dronfield winning and Burbage second. The reason the contest was started was to try to make bands make more effort to improve their striking – it certainly worked. 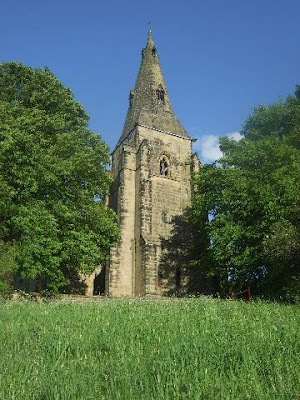 One of the reasons that Mr Else provided a cup was to recognise the fact that the bells of the Cathedral were always rung for the Harvest Festival service for the farmers of Derbyshire, which he, as an auctioneer, always attended. At the time that Alvaston won in 1961, they were not members of the Association. After that everyone who rang in the final had to be an Association member. Something that is not in the reports is that one year while the Cathedral were ringing, a dog came in to the ringing chamber and started to jump up at the ringers! The band fired out, but were given a chance to have a second go. They came second that year with their second attempt!